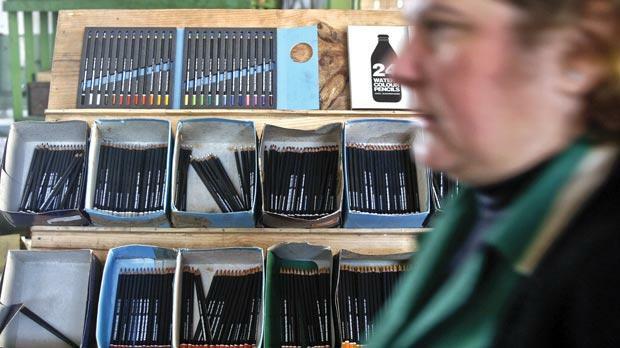 An employee passing by several ColorAdd pencils on display at the traditional Portuguese pencil factory, Viarco, in Sao Joao da Madeira. The colour identification system known as ColorAdd. Identifying lines on a colour-coded metro map is tricky for those who can’t see some colours. Choosing clothes or telling a green from a red apple can be just as baffling. But the pioneering work of a designer in the northern Portuguese city of Porto means such quandaries may soon pose less of a challenge for the colour-blind. Miguel Neiva has spent much of the past decade creating a simple colour-coding system that employs easy-to-memorise symbols for the colour blind to distinguish between certain pigments, such as red and green. Though Mr Neiva is not himself colour blind, he says childhood experiences formed the basis of his current work. “I had a colour-blind friend at primary school who for years was victimised by children like me who mocked him,” says the 42-year-old Mr Neiva, speaking from his studio. About eight per cent of the male population has some degree of colour vision deficiency, according to several sight associations, whereas less than one per cent of women are affected. 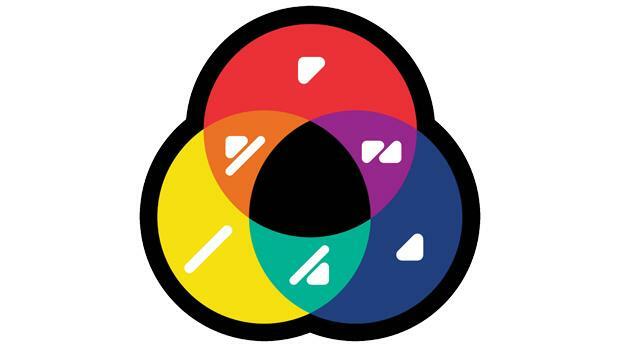 Mr Neiva’s so-called ColorAdd system is based on primary colours. A diagonal slash symbolises yellow, while red and blue are represented by triangles pointing in different directions. Different hues can be described by surrounding the symbols with a white or black square. Pink for instance, is shown by an upward-pointing triangle – representing red – surrounded by a white square. Porto’s Sao Joao hospital, one of the country’s largest, has adopted the system on its wristbands, which are assigned to patients based on their medical needs. “There have already been a few attempts to help the colour blind orientate themselves, but this system marks an entirely new approach,” says Fernando Falcao Reis, the hospital’s director of ophthalmology. Mr Neiva says his system has been warmly received by the colour-blind, and he now spends about an hour each day answering messages from around the world by people who see him as a “hero”. “I had no idea how big this project would become or how it would affect people,” he says. The project, started as a thesis for Mr Neiva’s master’s degree, involved years of research into colour blindness. He says as many as 90 per cent of colour-blind people ask for help choosing clothes, and about 40 per cent have difficulties in some social situations. In one survey, Mr Neiva said a police officer had inadvertently pulled on a pink shirt for his graduation ceremony, instead of a blue one. Colour blindness is a genetic condition that was first described by English physicist John Dalton. In many parts of the world, colour blindness is still called daltonism. “Miguel had a great idea that was wonderfully simple, and I think that in a few years, his invention will be widespread,” says Jose Vieira, who runs a crayon factory about 30 kilometres south of Porto. Since 2010, the factory has made about 8,000 boxes of coloured crayons, each of them stamped with a ColorAdd symbol. “Distributors have been very receptive,” Mr Vieira says. The colour-coding system is also being used in fabric and paint swatches, as well as some clothes and on Porto’s underground metro network. “There’s no limit to its possible applications,” says Mr Neiva. He envisions computer applications that would allow users to identify on-screen colours with a simple click of the mouse, and he hopes the symbols may be adopted by organisers in time for the 2016 Olympics in Rio de Janeiro. Mr Neiva says the system “is the only way to stop discrimination against colour-blind people”.